The interview is going great. You're qualified, the position sounds exciting and you're vibing with the boss. You've got this. Then comes the dreaded salary question. Salary talk during the hiring process is a delicate dance. Asking for too much might take you out of consideration, too little could mean compromising earnings. "People worry that it's going to hurt their chances of getting an offer if they come in above or below what the company has in mind," said Pamela Skillings, an interview coach and co-founder of The Big Interview. 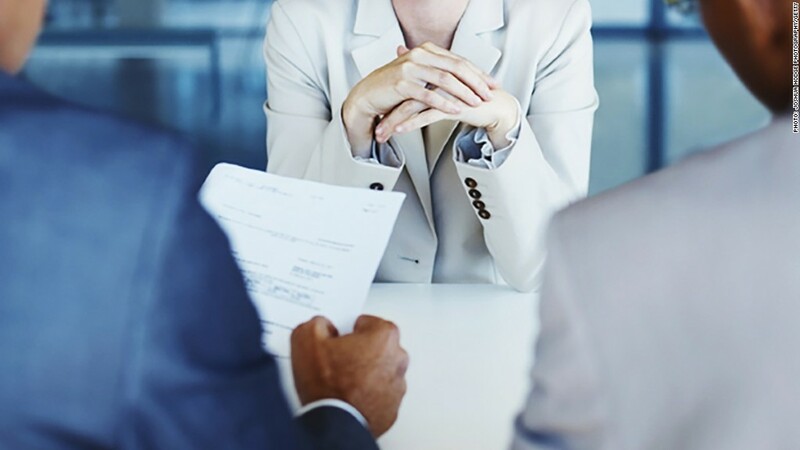 Some experts suggested tackling salary requirements at the start of the interview process to avoid wasting anyone's time and to set expectations, while others recommended waiting until later in the process. "Delay as long as possible," said Skillings. "If you are able to put off talking about salary and can establish some creditably and they are happy with you, then you are in a better position." If you want to delay talking about your salary, don't be dodgy about it -- that can raise red flags with the hiring manager. One way to pivot the conversation is to say something like: "I want to talk compensation, but I would really like to focus first on making sure I am a good fit for the company and that we can bring value to one another," said Tim Lo, co-founder of YourNextJump.com. Keep in mind that some recruiters might not funnel a candidate to the next interview stage without having salary expectations. "They are asking to make sure there is not a huge disconnect with what the candidate is looking for and what the company is paying for the job," said Paul Wolfe, senior vice president and head of Human Resources at job search company Indeed. When you do give your salary figure or range, be strategic. There are many online resources that break down the salaries of different professions by location. Do your research to come up with a figure that fits within the industry norm and represents your experience and qualifications. It's also helpful to talk to your peers in the industry to find out how much they're making so you know the pay range you provide is appropriate. Experts said it's common for candidates to seek a 15-20% pay increase if they are jumping ship to a higher position. If it's more of a lateral move, the increase can be less. If you are asking for a significant pay bump, be prepared to justify it. "Be an advocate for yourself," said Lo. Explain that you've done your market research and list your experience, background and qualifications that make you worth the amount you are seeking. Some states and cities have made it illegal for employers to ask job candidates about salary histories as part of the screening process. But that doesn't mean every person you encounter during the hiring process will know about or adhere to the rules. "A lot of times people aren't well trained and they are asking questions without realizing it's illegal," explained Skillings. "Ideally, if you can dodge the question in a polite way; it is better than having to call someone out." She suggested saying something like: "It's not so much about salary but finding right next position and I am open to competitive offer." If you feel that you are currently underpaid and that sharing your salary will hurt your chances of getting a bump, Skillings suggested being honest and explaining why you are worth more. "Say something like, 'My current compensation isn't representative of the market norms,' and then list your accomplishments and qualifications." If a hiring manager is really insistent on asking your current salary, and you're not in an area subject to laws that ban the question, you should answer honestly. "Never lie about your salary," warned Lo. "Besides being unethical, it's something people can verify." If an offer comes in that's below your expectations, don't be afraid to ask for more. "Wait for your most aggressive negotiation for when the offer comes in," said Lo. "At that point they've done their due diligence and have spent time and money so an extra $5,000 to $10,000 to them might not be very much, but to you that is significant and at that point you have the leverage." You can take your time reviewing the offer, he added. And it's not always all about salary. Take into account other benefits like an equity stake, a high 401(k) match or strong growth opportunities. If the salary is firm, Skillings suggested asking for an earlier review at three or six months to re-evelaute pay and benefits.